While the images we habitually associate with enlightenment—whether buddhas, teachers, or deities—are usually male, awakened mind equally expresses itself in female form. Gelek Rimpoche argues that enlightenment is possible only when female and male energies are both fully present. He teaches us Tara practices to bring enlightened female energy into our lives. 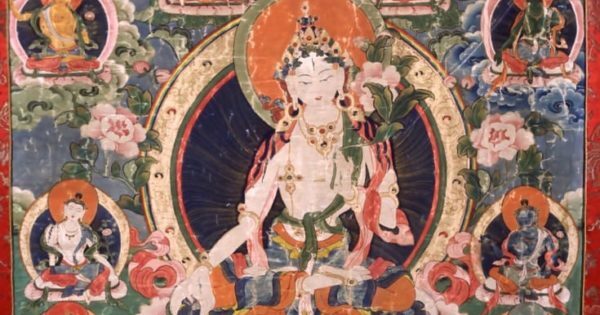 I recently had the opportunity to speak at the Rubin Museum of Art in New York City on the occasion of their exhibit Female Buddhas: Women of Enlightenment in Himalayan Art. I was happy to see this exhibit—the first of its kind, I believe—which focused on enlightenment in female form. It was long overdue, and I am grateful to the museum for providing such a wonderful show. The fact that the show’s title included the word “female” makes it apparent that when we use the word “buddha,” most people imagine a male figure. 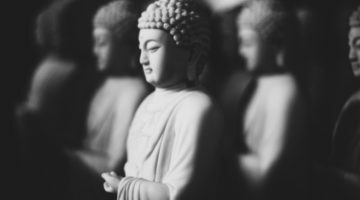 Although it is true that buddhas can be male or female, it is also true that unless we say female, we assume it is male. That is our cultural baggage. Buddhism arose in the East. 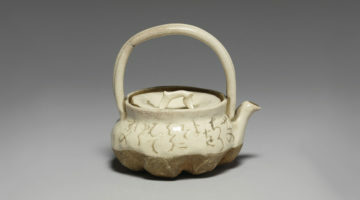 And for most of the past 2,500 years, it has been part of the male-oriented culture of the East. It was that way in Buddha’s time in India, and it was that way in Tibet, where I was raised. But the culture in the West today is very different from traditional Asian culture. It’s clear to me that in this time and place, we need to emphasize the feminine principle. We live in a time when equality between men and women is increasing. If we cannot take advantage of this present situation to develop the feminine aspects of Buddhism and of our human nature, we will have missed an important opportunity. The favoring of male practitioners did not originate in Tibet. We can see this bias throughout India and Asia. This is the cultural baggage I mentioned. It has nothing to do with the real essence of Buddhism. Women are as capable as men when it comes to spiritual practice. It is time for our tradition to reflect this reality more clearly. It is time for this imbalance to be acknowledged and corrected. There is no reason for this baggage to be carried forward. It does not serve the purpose of our times and has no special spiritual value. We need to do more than honor the feminine as a principle. We need to also encourage and support female practitioners. In Tibetan Buddhism, we acknowledge Buddha Shakyamuni as the historical, or “official,” Buddha. But we also recognize the existence of countless other enlightened beings or buddhas. Tara is one of these enlightened beings in female form. This is one of the reasons I have been doing Tara blessing ceremonies in different parts of the country lately. There is actually a long history of such blessings in Tibet. It’s not something I just cooked up. This type of blessing is called a gom lung, and it is a combination of meditation and oral transmission. By doing these activities, I hope to help bring the enlightened feminine presence forward. Maybe I am not the best person for the job, because, ultimately, it is important for women to do this. But because of my background and training in Old Tibet, I feel that giving my support may be of some help. We find images of Tara throughout Eastern culture, although she may be referred to by different names. In China, she is called Kuan Yin. In Japan, she is Kannon. In Tibet, we call her Drolma. Tara is her Sanskrit name. It means “one who liberates.” Tara is known as the “Mother of all buddhas.” She is especially associated with long life and wisdom. 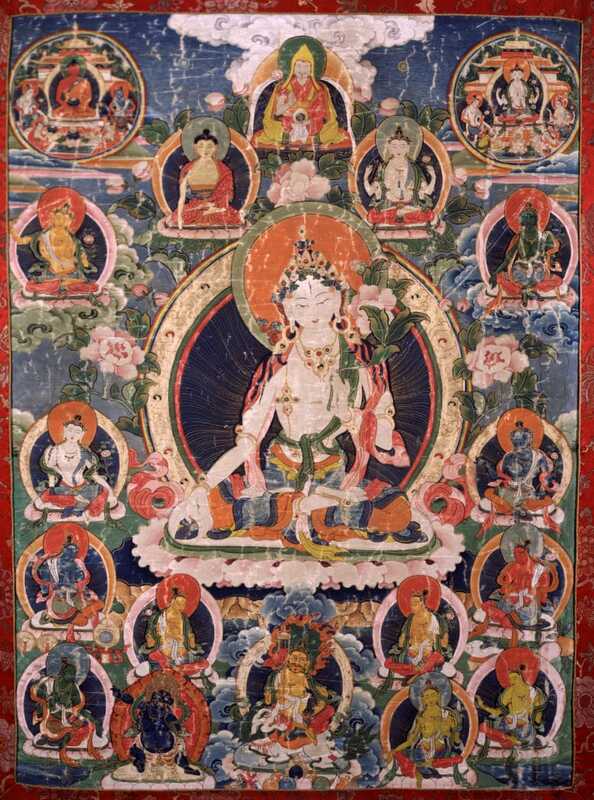 And as a female manifestation of the enlightened energy, Tara is said to come to our aid quickly and powerfully. In the West, we are familiar with Mother Mary, whose qualities of boundless compassion and love very much resemble those of Tara. So most of us have some familiarity with someone like Tara and the qualities she represents. She may have a different name or slightly different look in the way she is depicted here and there, but that merely indicates how popular and how necessary she is for us. We all recognize the need for caring and compassion. This is what Tara represents. It is also said that Tara was originally an actual human being, like us. She worked to develop herself, just as Buddha Shakyamuni did. As a bodhisattva, she was committed to helping all beings. And as a bodhisattva, she was able to choose the form of her rebirth. Tara chose to remain in female form. Why did Tara choose to remain as a female? She chose to because of the importance of feminine energy and because a lot of cultures treat females as inferior, even though they are just as capable of enlightenment as males. At some point in world history, it was decided that the female body was inferior. It’s unfortunate, but that represented the thinking in those societies. That is why Tara made the decision to remain a female and function as an enlightened being in female form. This is an important point and it gives us two different messages. One message is that compassionate people don’t shy away from difficult tasks. The other point is that the problems of human beings can only be solved by human beings. No god is going to come down from the sky and enlighten us. We have to do it ourselves. That is why Buddha said we are responsible for ourselves. For example, I believe the Tibetan problem has to be solved by the Tibetans; others can only help. Similarly, male problems can only be solved by men; women can only help. And female problems can only be solved by women; men can only help. In Tibetan Buddhism, we recognize that enlightenment comprises both feminine and masculine aspects. We say that enlightenment is not possible without both wisdom and compassion, which we sometimes refer to as wisdom and method. Wisdom, or the recognition of emptiness, is connected with the feminine, because the empty nature of reality is the basis, or mother, of all. As the Heart Sutra says, form is emptiness, emptiness is form. In other words, there is no form or reality apart from emptiness. In that sense, emptiness is the mother of all. And wisdom, which is the recognition of this truth, is associated with emptiness. Accordingly, when we speak about the wisdom aspect of enlightenment, we associate this with the feminine principle. And just as one can never produce a child without a mother, compassion without wisdom, no matter how strong your compassion, may not be enough to produce enlightenment. The feminine aspect of enlightenment is represented by female deities. We see female images at every level of Tibetan art. 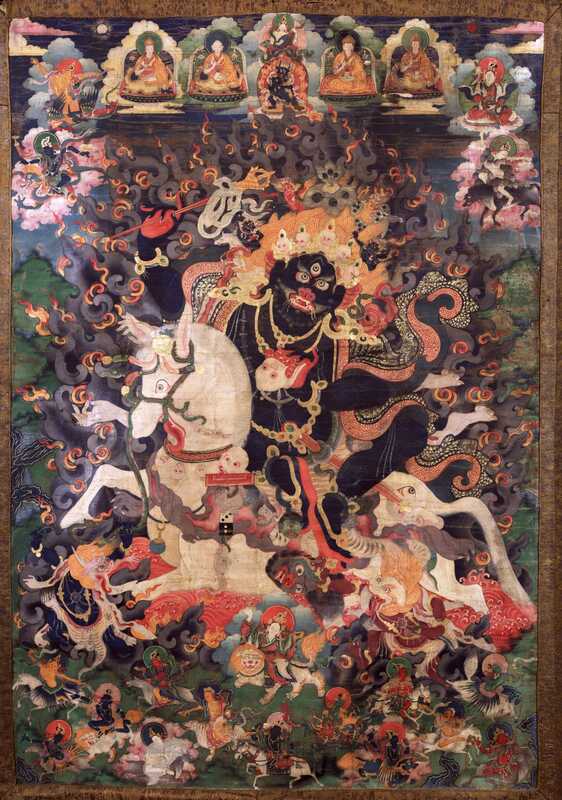 There are peaceful forms like Tara, semi-wrathful forms like Vajrayogini, and wrathful forms such as the female protector Palden Lhamo. Each of these has a male counterpart, because male and female aspects are both necessary for enlightenment. In fact, both are necessary throughout the spiritual path. The union of masculine and feminine energies is key to our ultimate spiritual freedom. Without the male or female aspect, there is no enlightenment: there is no union of wisdom and method; there is no union of clear light and illusion body; there is no union of mind and body. We can also see this combination of energies during the period of accumulating merit. There are two types of merit. Wisdom merit develops the mind of a buddha, while the activities related to compassion, or method merit, develop the body of a buddha. At the level of enlightenment, there is no longer a dualistic distinction between body and mind. You might say they both function at the same frequency. But we need both, and both aspects must be developed until we achieve enlightenment. Compassion and wisdom are the foundation of our spiritual work. They also bring the ultimate result. These depend on both male and female elements. When you look at Buddhist practices as they have developed, they appear to favor the male practitioner. As I said before, these practices developed in male-dominated cultures. (For example, the word for “woman” in Tibetan means “lower birth.”) In Tibetan Buddhism, although both a male and a female deity practice are considered necessary for enlightenment, the male deities received more emphasis. 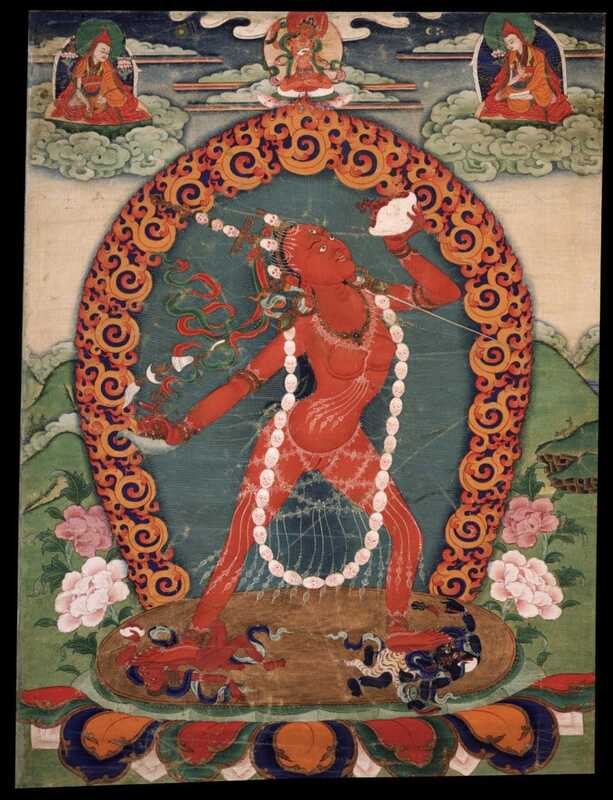 The female deities such as Vajrayogini were kept very secret. In the monasteries, they didn’t want to encourage monks to meditate on the images of beautiful female figures. Having been a monk, I can understand that this could definitely have been a distraction! So to help uphold the monastic vows, the deities were mostly male. 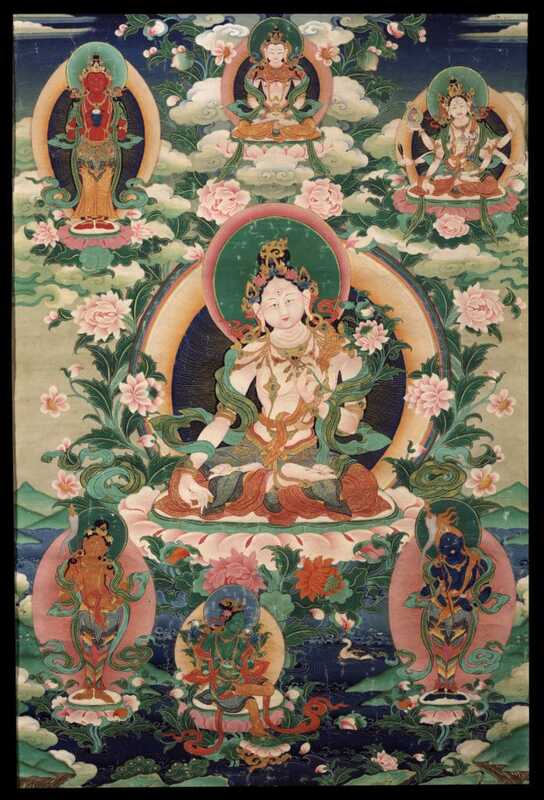 Tara is a buddha herself and can fully serve as an object of refuge. The object of refuge doesn’t have to be a yellow Oriental man with a golden robe. This is an important point. Although Vajrayogini has extraordinary qualities, her practice is not for everyone. Such a practice involves many different vows and commitments, and this can be quite difficult for people. Tara, however, can be practiced by everyone and this practice brings great benefit. Through Tara practice, we can build up a connection with this ever-present enlightened being as someone to take refuge in, someone to pray to, and someone to inspire our lives and touch our hearts. Fortunately we have a number of Tara practices to suit the needs of different individuals. I will briefly introduce some of these practices in the hope that they will be of some benefit. These practices involve visualization: we visualize Tara not as a painting or mirage, but as a fully enlightened being with the qualities of wisdom and compassion that can help you to help yourself. In Tibetan Buddhism, we associate particular colors with everything that exists. For example, the traditional elements of earth, water, fire, air, and space are each associated with certain colors. We also associate particular colors with states of mind. We visualize these colors and the elements associated with them in their pure, uncontaminated, and fully vital form. In these practices, we visualize these colors in the form of light and liquid streaming forth from Tara to fully revitalize and protect us. Through Tara, we can learn how to heal ourselves, which involves healing the elements. Why healing the elements? First, you might ask, what does it mean to be alive? We are alive because the mind or consciousness remains in the physical body. As long as this physical body is synchronized with the mind, we call it life. When it is disconnected, we call it death. A healthy life depends on synchronization of mind and body. The mind and body both need to be balanced. A healthy mind is a balanced mind. If you lose your mental balance, you become cuckoo or a vegetable. The body also needs to be balanced. In traditional Eastern medicine, the body is said to be composed of five elements: earth, water, fire, air, and space. If the elements of the body are unbalanced, we can have problems that affect not only the body, but also the state of our minds. The earth element represents the bones and flesh of the body. The water element is the fluids in the body. Fire is the element that controls digestion. The air element is related to the energy of circulation—of the blood, oxygen, and nervous system. And you need the space element within the body for the simple reason that otherwise everything would be smashed. These elements also have an emotional component. The space element is related to the sense of spaciousness. An imbalance of space will leave us feeling cramped and constrained in our thinking. The air element is associated with the mind and mental functioning. When the air element is imbalanced, you may feel flighty or exceedingly nervous; when the air is balanced your mind is curious and flexible, and you are able to grasp new ideas and ways of thinking. An imbalance of the fire element can lead to impulsive “hotheaded” behavior. A healthy fire element strengthens your willpower and enables you to feel passionate and inspired in your efforts. A healthy water element helps to calm your emotions; otherwise you may feel overly sensitive or emotionally turbulent. And a healthy earth element allows you to feel grounded. In the Tara practice of healing the elements, we learn to visualize and work with the energies that affect the balance of these elements. In this practice, we visualize colored light streaming forth from Tara and renewing each of our elements with the essence of inexhaustible vitality. We associate a golden light with the earth element. A white, opalescent light is associated with the water element. The fire element is red-orange, like the glow of molten metal. The air element is emerald green, and the space element is sapphire blue. We visualize these colors streaming forth from Tara. The light of each element extends to the outermost reaches of the universe and collects the essence of each element. Then we visualize this light and similarly colored liquid completely filling our bodies and fully rejuvenating each of our elements in turn. Tara’s six-shield practice is a practical and very helpful practice that we can use to clear away obstacles and protect ourselves—and those we care about—from harmful influences. In this practice, we visualize shields of different colored light radiating from Tara and encircling us and our loved ones in concentric spheres of protection. These shields transform our usual neuroses into their wisdom nature. That very wisdom nature becomes a powerful and skillful energy that uplifts and benefits both self and others. The first shield is white, not only for pacifying difficulties but also for purifying faults. The next shield is composed of golden light, which is for increasing prosperity and also for developing our beneficial qualities. A shield of red light brings us power, as well as a sense of capability and confidence. The blue shield not only brings the necessary wrathful qualities needed to say no when no is necessary, but also the discriminating power of destruction when destruction is needed. This reminds us that compassion does not mean being a doormat. The green shield is not just for miscellaneous activity but also for the supreme and mundane powers required on the path to enlightenment. A final shield is composed of a rust-colored light that helps to stabilize the qualities we gain from the other shields. This is incredibly important because it is not possible to have spiritual development without stability. Tara can also help us learn to protect ourselves from the eight fears. These are not the common fears we share with most human beings, such as fear of dangerous animals, nightmares, illness, or untimely death. In this practice, we use the power of Tara’s mantra, Om Tare Tutare Ture Soha. Om represents Tara’s enlightened body, speech, and mind. Tare means one who liberates from suffering. Tutare means one who liberates from the eight fears. Ture means one who liberates from ignorance with the wisdom that brings the true cessation of suffering. Soha means may the meaning of the mantra take root in my mind. The lion of pride: As the king of the jungle, the lion looks down on everyone and listens to the counsel of no one. Our pride will isolate us from help and keep us locked in the control of ignorance. The elephant of ignorance: The metaphor for ignorance is the elephant—not an ordinary elephant but a wild, drunken one. This elephant will not hesitate to trample anyone who gets in his way. That is what ignorance does to us. The fire of anger: The fire of anger is fanned by the wind of wrongdoing. Wrongdoing is caused by the elephant of ignorance, which give strength to the fire. The snake of jealousy: Like a snake in the shadows, jealousy hides in the darkness of ignorance. When we see others doing better than us, the snake strikes and poisons us. Then we spread that poison to others as soon as we are able. The thief of wrong view: What does a thief do? He steals our valuables. Likewise, wrong view steals our opportunity to make any progress on the spiritual path. The shackles of stinginess: Everyone views generosity as something positive. Stinginess is just the opposite. It binds us so that we are incapable of acting positively. It keeps us hopelessly trapped in samsara. The waters of attachment: Attachment functions like a violent, rushing river. It keeps us trapped in the current of samsara, carrying us further and further from the shores of liberation. The ghost of doubt: Ghosts usually function at night. Likewise, doubt functions in the darkness of ignorance. It frightens and confuses us, preventing us from making our way to the light of freedom. Using the power of Tara’s mantra, we meditate on each of these fears and its antidote. 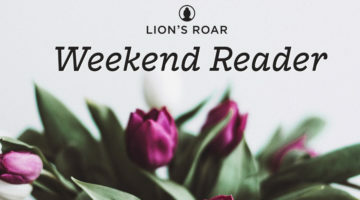 We counter pride with the humble recognition that we don’t know everything—just trying to name all the bones of one’s own body is proof of that. Ignorance is ultimately conquered by the wisdom that recognizes emptiness. Until then, we can apply mindfulness to grow more aware of the consequences of our actions. The antidote to anger is patience. We can use patience to help us trace our anger back to its source to help us see the folly that is generally its cause. Jealousy can be countered by compassion. Through insightful analysis, we come to recognize that all beings share the desire for happiness. Rather than resenting another’s good fortune, we can begin to rejoice in their happiness. Wrong view can be countered by understanding that our actions have consequences. Our negative actions will ultimately result in suffering for ourselves. Our positive actions will ultimately bring us peace and joy. Stinginess is countered by the practice of generosity. That may seem obvious, but it requires recognizing that generosity begins with generosity toward ourselves. When we meditate on how miserliness is actually stealing all our joy and appreciation of life, we will begin to practice generosity. Attachment can be conquered through understanding the impermanent nature of reality. And doubt is subdued by intelligent faith. This is the kind of faith in the teachings that we develop through personally examining and testing what we have learned. As Buddha put it, we should examine each of his teachings as thoroughly as we would if we were buying a piece of gold. It is important to incorporate the feminine principle into our practice, because we cannot achieve the ultimate attainment of enlightenment without perfecting both the male and female aspects. The ultimate development of the feminine within the individual is called clear light, which might be described as the direct perception of emptiness. The ultimate development of the masculine is the illusion body. The combination of the two is what we call union. As I said, this is the union of enlightened mind and enlightened body. It is the union of relative and absolute truth. It is the ultimate development we can achieve. If we develop one aspect without the other, we will never be able to achieve this union. At the moment, ultimate enlightenment may seem like an impossible task. But the opportunity to help ourselves by developing the principles represented by Tara practice is available to us right now. Of course there is more to these practices than the simple descriptions I have provided here. My main goal was to show the importance of the feminine principle in Buddhism and the possibilities for making it an important part of our spiritual journey. If you are interested in pursuing this feminine aspect further, I urge you to find a reliable source of instruction. Fortunately, these days we have many resources in the form of qualified teachers and books that offer more detailed explanations of what is possible with Tara practice. Tara: The Feminine Divine, by Bokar Rinpoche (ClearPoint Press). 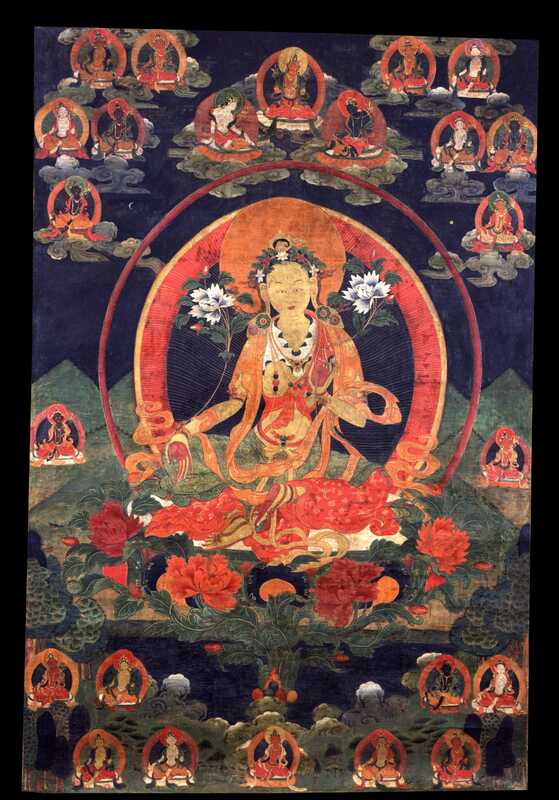 Female Buddhas: Women of Enlightenment in Tibetan Mystical Art, by Glenn H. Mullin and Jeff J. Watt (Clear Light Books). In Praise of Tara, by Martin Willson (Wisdom Publications). The Tara Box: Rituals for Protection and Healing from the Female Buddha, by Gehlek Rinpoche, with Brenda Rosen (New World Library). Gelek Rimpoche (1939-2017) was the founder of Jewel Heart, a Tibetan Buddhist Center located in Ann Arbor, Michigan, and the author the bestselling Good Life, Good Death.